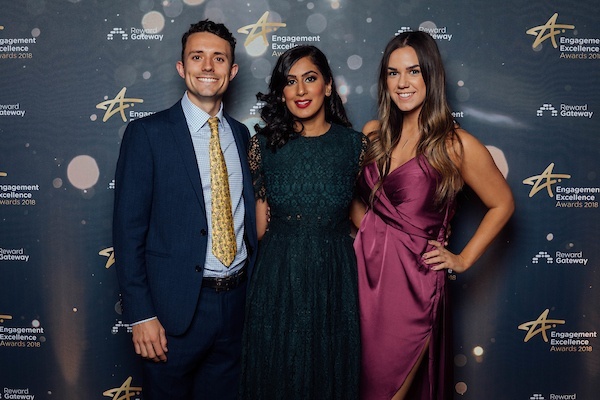 This past October, we hosted our seventh annual Engagement Excellence Awards, which is my absolute favourite time of year. 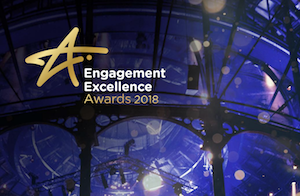 Year after year, companies that are leading the way in employee engagement come to the awards and we're able to celebrate their amazing accomplishments together. 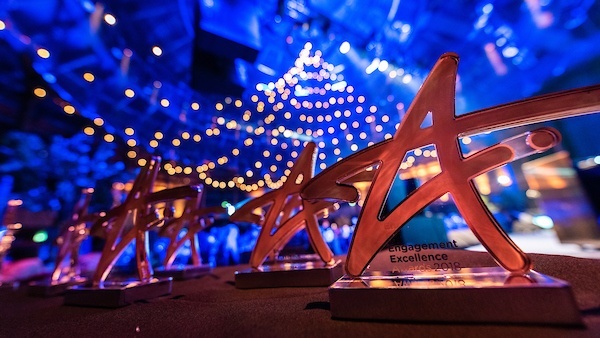 Of course the Engagement Excellence Awards are a night of glitz and glam, but more importantly, it's a time to connect with our clients and gain inspiration from their journeys. The team and I value being able to meet clients in person and work together towards our mission of making the world a better place to work, one step at a time. With categories such as "Engagement leader of the year" and "Best use of the platform to drive business strategy," (plus many more) it's safe to say these companies truly demonstrate world-class initiatives. Build a culture of continuous recognition to connect with disperse, multi-generational employees. Improve employee engagement, employee wellbeing, employee benefits and customer satisfaction. Decrease employee turnover and employee absence and improve employee retention. But what's the one thing that all of these organisations have in common? A desire to improve employee engagement and stand out as a top employer to attract, retain and engage the best talent. We'd love to hear what you gain from these success stories, please leave your comments below! Travel junkie, foodie, morning person, Disney fan! Charlie is Head of UK Growth Marketing and PR at Reward Gateway.